Well Mary Ellen and I are now finally on the road. Today we are in Fort Collins at our daughter’s home. We are enjoying the beautiful weather in Colorado today. Mary Ellen is having a great time playing with our 7 month old granddaughter, Elsie. We left Rapid City on April 9 and spent the night in Lusk, WY at the Covered Wagon Motel. 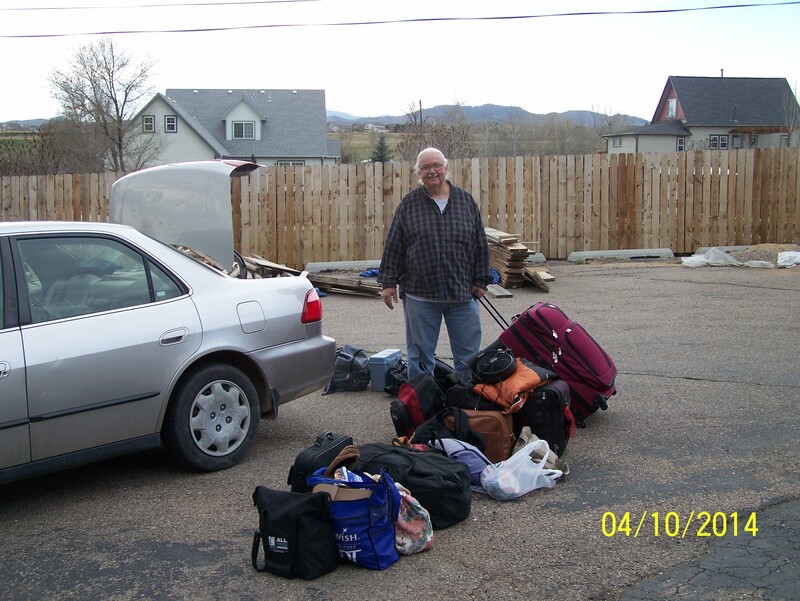 We arrived in Fort Collins, CO on April 10. It snowed in Fort Collins on April 13. It was very hard to leave all our friends in Rapid City, but we are on to the next phase of our spiritual journey. Next we are headed to Indianapolis. We left for Indianapolis on April 14. I will post some more in another two years. LOL! All this luggage went into our little Honda Accord. This entry was posted in On the Road and tagged On the Road. Bookmark the permalink.